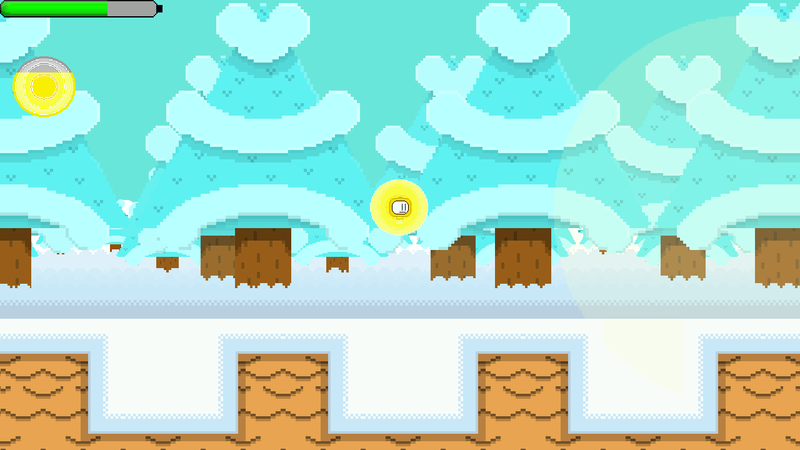 Project Smallbot: Light has you control Yellow Smallbot as you platform through new levels and face new challenges and enemies, as you try to track down new mysterious evil robots who have stolen the powerful artifacts from the first game. While playing through the levels you will find hidden collectibles that will tell you more about the world, from the different creatures that lurk around the levels, to the many areas you explore as you progress. You take control of Yellow Smallbot, a new Smallbot model who uses an energy shield to protect itself from the many enemies and obstacles found in the world. Using the shield in the air will give you gliding abilities as well to avoid dangerous spikes or to get past long deadly bottomless pits. This shield can be used for many things like lighting torches to see through dark places or melting different obstacles that will block your path. But be careful, you can only use your shield ability for so long before it dis activates and has to recharge, leaving you defenseless. The energy shield also can't defend you from every enemy in the game and will not work when underwater so use it carefully. Enemies this time around come in many different shapes and sizes. Some enemies require to be jumped on to be killed or need to be killed using the energy shield, while certain enemies need to be both jumped on and killed with the power shield. Some enemies from the first game will return with new designs and models as well as new enemies with different attributes will be introduced as well. Boss battles will also be introduced in some levels and will have different ways of attacking. Levels both new and returning, are now bigger than ever. Some levels contain secret mini areas to explore. 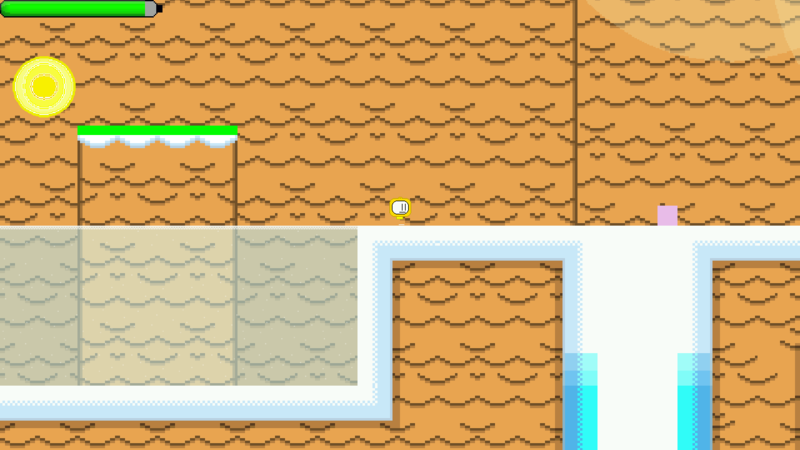 Levels will have unique features and challenges that separate themselves from each other and will be more fun and balanced than the first game. Hidden in the levels are collectibles that if found, will unlock many things in the extras menu, from challenges, to facts about levels and enemies. Challenges are also making a return as it's own mode instead of being a level of difficulty like it was in Project Smallbot. Not only will the Smallbot Challenge return, but other new challenges will be introduced as well. Completing these challenges will unlock either more challenges or new collectibles and bragging rights. Presentation will also be improved from the first game. Many old enemies are getting new designs and the world is going to look and feel more vibrant and colorful while the game's soundtrack will be composed by Dan Wrigley to ensure an amazing score for this game! Project Smallbot: Light is out of hiatus once again! Development will now get back into motion and regular updates can be found on this page! If you haven’t yet, then don’t forget to download and play the demo as well! 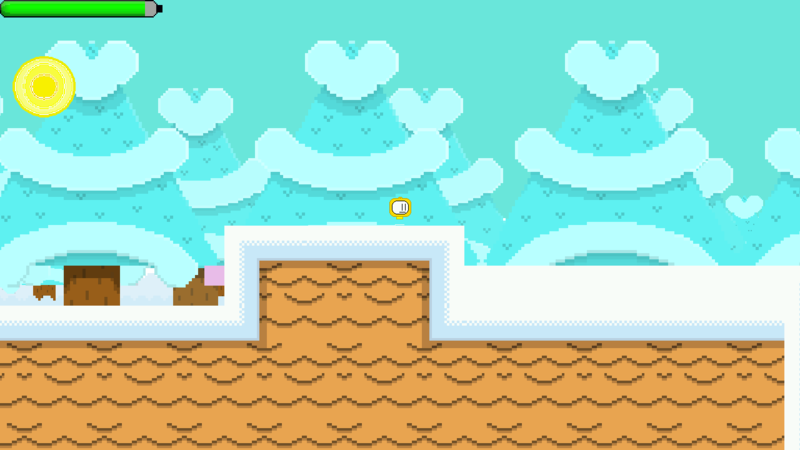 As of now, I am currently working on the 4th level of the game which is snow themed. It’s still a work in progress and the current images below do not reflect the final version. I will release a short trailer for the level once the enemy design is complete, the visuals for the level are close to completion and when the music is also ready. Project Smallbot: Light Demo is now available! The demo for Project Smallbot: Light is now available for all IndieDB users! Go and download it today!!! Dan Wrigley is the official Project Smallbot: Light composer! Here are all the enemies in the first 3 levels in Project Smallbot: Light! Be on the lookout for a future update about the game! This is the demo/sample for Project Smallbot: Light.